Today I am doing a little clothing post that may excite some of you! I was recently cleaning my closet and I came across this lovely dress. I was originally keeping it for myself and it has been in my closet for about 2 years, and I felt like it was time to give allow someone else to enjoy it. So here it is!!! 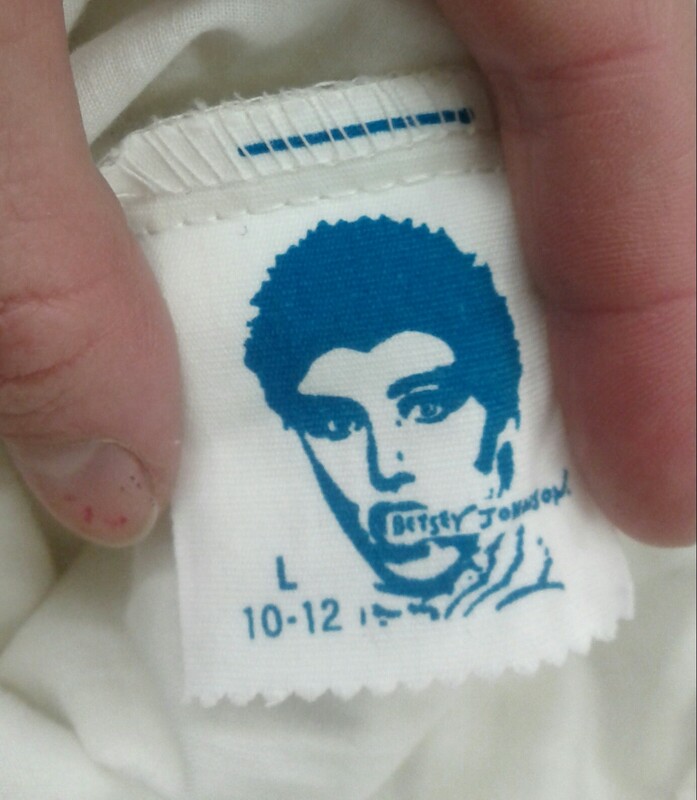 A chance to own your very own vintage Betsy Johnson Dress!!! I found this lovely gem a couple years ago in my travels through the states. I instantly fell in love with it and was more excited that the dress had in fact never been worn!!!! A BRAND NEW VINTAGE DESIGNER DRESS!!! How lucky Right? Well with all that excitement I brought it home and put it in my closet and that is were it has stayed for 2 years. So now its time to give this lovely dress a new home where it will get worn and enjoyed! Click on the top picture to be taken to my Etsy store. 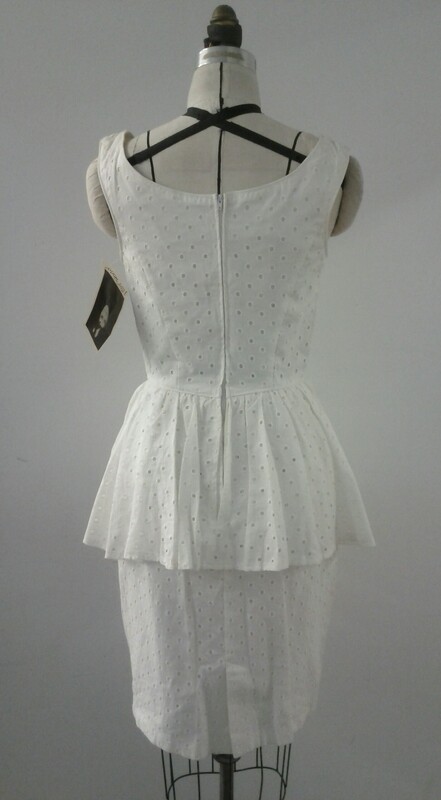 Posted in Etsy, Fashion, Vintage and tagged Betsy Johnson, Betsy Johnson dress, Betsy Johnson eyelet dress, Betsy Johnson peplum dress, Betsy Johnson white eyelet dress, peplum, peplum dress, vintage Betsy Johnson, vintage Betsy Johnson dress, white eyelet, white eyelet dress. Bookmark the permalink.